Gal Greenstein (b. 1985) was born in Petah Tikva, Israel, the granddaughter of Holocaust survivors and immigrants from Poland, Austria, Germany, and Czechoslovakia. As is common in Israel, her parents Hebraized their last name, choosing Gadot, meaning “river banks”. After graduating from high school, she was spotted by a talent agent and convinced to participate in the Miss Israel beauty pageant. Gadot joined for fun, with no interest to actually win – but she did. When moving on to the Miss Universe pageant, she purposely sabotaged her chances of winning by not wearing the required dresses or putting on makeup. Upon her return, she completed her two year military service with the IDF, then enrolled in college to study law and political science. Meanwhile, her appearance at the Miss Universe pageant brought many modeling agencies to her door. A year later, Gadot was called to audition for the part of a Bond girl in Quantum of Solace. Though she didn’t get that part, she was soon given the part of Gisele in the Fast and the Furious series, going on to appear in three of the films. She starred in a number of other Hollywood and Israeli movies and TV shows. Her big break came in 2015, when she was cast as Wonder Woman in the Dawn of Justice film. She did a great deal of training for the part, and put on 17 pounds of muscle. While the movie itself received mixed reviews, Gadot’s performance was applauded, and she was signed on for two more films, including a stand-alone Wonder Woman movie. That film (described as being “75 years in the making”) was recently released, and broke records for the largest opening weekend for a film directed by, and starring, a woman. It has raked in an impressive $450 million so far. The film has received marvelous reviews – already ranked among the greatest comic book movies of all time – mainly for Gadot’s performance, described as being inspiring and “electric”. Gadot has been credited with saving the DC Universe of films. (Amazingly, she was pregnant with her second daughter while filming Wonder Woman, yet still trained around the clock and did her own stunts.) Gadot has been praised for her unrelenting pro-Israel stance, her unfazed response to ceaseless criticism, anti-Semitism, and sexual harassment (even her role as the UN’s Honourary Ambassador for the Empowerment of Women and Girls was protested heavily), for being down-to-earth and keeping it simple (she appeared at the LA premiere in $50 flats from Aldo), and sticking to Jewish traditions over the years despite the fame and fortune. 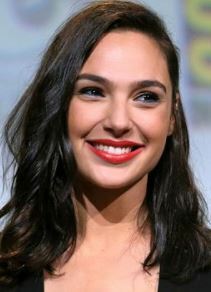 Gadot has entranced much of the world, particularly at home in Israel, where she has been called a “national treasure”, and surprisingly in China, where she has been awarded China’s “Most Popular Hollywood Actress.” Gadot will reprise her role as Wonder Woman later this year in the forthcoming Justice League film. 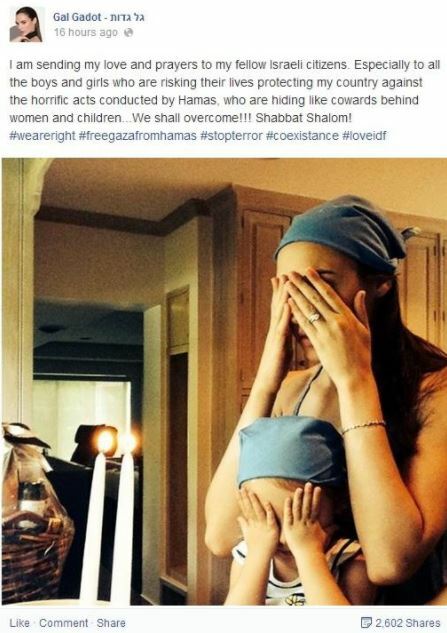 This entry was posted in Arts & Entertainment and tagged Batman, Bond Girl, Dawn of Justice, DC Comics, Fast and Furious, Film, Gal Gadot, Hollywood, IDF, Israel, Israelis, Jewish Actresses, Justice League, Shabbat, Superman, Wonder Woman on June 15, 2017 by Jew of the Week. Maria Krystyna Janina Skarbek (1908-1952) was born in Poland to a Catholic father and a Jewish mother from a wealthy family. From a young age, Maria enjoyed horse-back riding, skiing, and extreme physical activities. At 22, her father died and her mother’s family wealth ran out. Skarbek got a job in a Fiat dealership but fell ill from the fumes. To regain her health, she returned to the slopes and spent the majority of her time skiing and hiking. With the outbreak of World War II, Skarbek fled to London and enlisted in the British Army. She found her way into the Secret Intelligence Service and was sent to Hungary for “espionage, reconnaissance and sabotage”. From there she re-entered Poland by hiking across the mountainous border. Skarbek first attempted to save her mother from the Nazis, but her mother refused to leave and was killed in a camp. Skarbek’s main work was to organize the transfer of vital intelligence reports out of Warsaw to the SIS. (One of these correctly revealed Germany’s planned invasion of the USSR, of critical importance to the Allied victory). She also assisted in smuggling weapons and exfiltrating key military personnel. 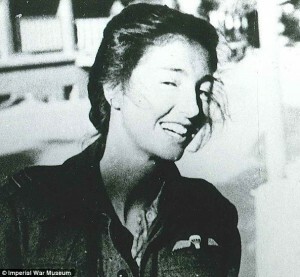 Arrested by the Gestapo in 1941, Skarbek bit her own tongue until it bled, then pretended to have virulent tuberculosis and used the cover to escape her captivity. She made her way through the Balkans to Turkey, then to the SIS headquarters in Egypt. Upon arrival, she was suspected of being a counter-spy secretly working for the Germans! Thankfully, she cleared her name and returned to work. In 1944 she was posted in France under the name ‘Madame Pauline’. Here were some of her most infamous missions, including demolishing bridges and infiltrating a Nazi prison to save her commanding officer. After the war she was awarded with an Officer of the Order of the British Empire and France’s Croix de Guerre. However, she was dismissed from service with only a month’s salary and left alone in Cairo. She slowly rebuilt her life as Christine Granville. Sadly, in 1952 she was assassinated in a hotel room. Skarbek’s story inspired Vesper Lynd, the original ‘Bond Girl’ in Ian Fleming’s first 007 story Casino Royale. Many consider her Britain’s first female secret agent. God transforms spirituality into physicality; the Jew makes physical things spiritual. This entry was posted in Extraordinary Individuals and tagged 007, Bond Girl, British Army, Cairo, Casino Royale, Croix du Guerre, Egypt, Espionage, Fiat, France, Gestapo, Hungary, James Bond, Order of the British Empire, Poland, Polish Jews, Secret Agent, Secret Intelligence Service, spy, Turkey, Vesper Lynd, Warsaw, World War II on September 18, 2013 by Jew of the Week.